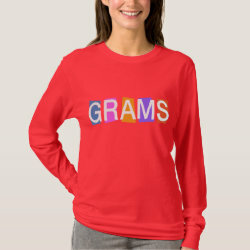 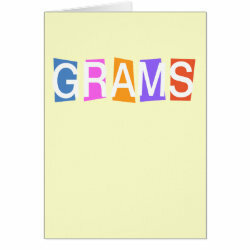 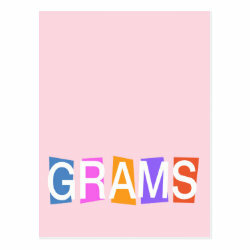 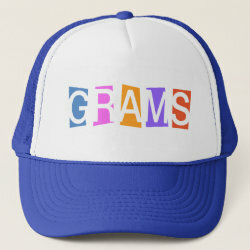 This fun design spells out the name GRAMS using colorful squares. 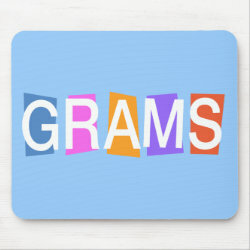 The letters take on a different look depending on the background color. 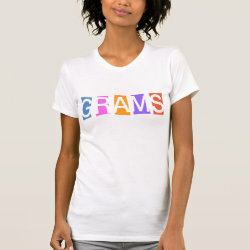 Solid white letters stand out against dark backgrounds, while the letters disappear out of the squares on light background swag. 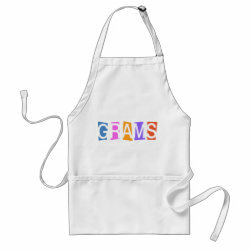 A retro-style gift idea for your grandmother!